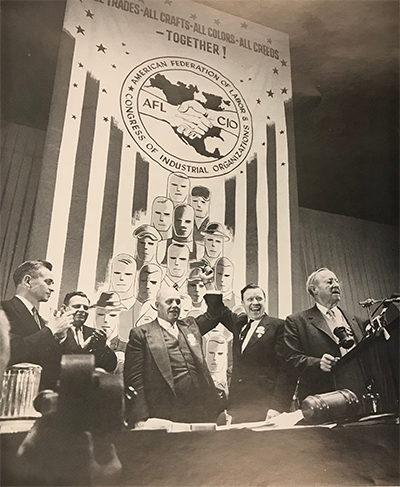 Take a moment today to embrace our history as a movement and listen to Meany’s 1955 address—then help carry that legacy forward by taking action alongside your union brothers and sisters. Nurses at St. Charles in Bend peacefully rallied last week at the hospital to show support for their nurse bargaining team on the first day of federal contract mediation with St. Charles executives. Nurses at St. Charles have been working on an expired contract for nearly 5 months as they advocate for patient safety improvements and affordable health care. Sign nurses' petition to ensure nurses have a voice in health care and families in Central Oregon continue to receive the high-quality health care they deserve. 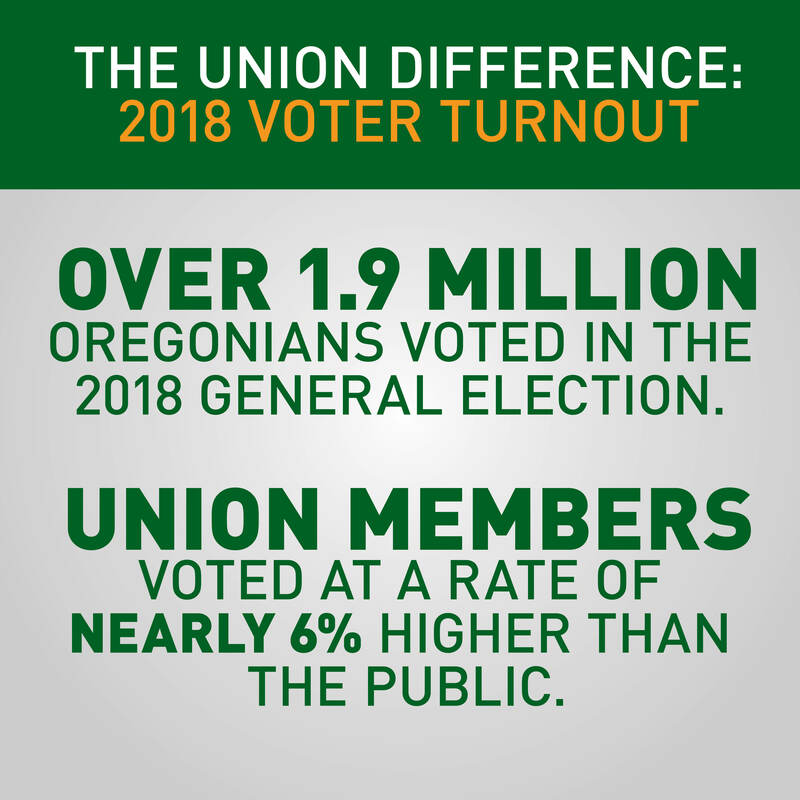 The results are in and the union difference is once again evident: in the 2018 General Election, Oregon’s union members turned out to vote nearly 6% higher than the general public. This was a historic election, with over 1.9 million Oregonians casting a ballot. There are many reasons why union members turnout to vote at a higher rate, but what makes the most difference are the thousands of volunteer shifts filled by dedicated union members during our Labor 2018 political program! Thank you to everyone who helped make our program a success. On the latest episode of our monthly podcast, The Voice of Oregon’s Workers, we sit down with Oregon State Representative-Elect Rachel Prusak, House District 37, to discuss the results of the 2018 General Election and how Oregon can continue to build a road to prosperity for working people in the 2019 Legislative Session. Click here to listen today! (add link once live) and make sure to subscribe to our podcast on iTunes, Stitcher, or Spotify. Unions across the region are collecting toys to distribute at the annual Presents From Partners Giving Party, organized by Labor’s Community Services Agency. This is a huge assistance for families in need during the holiday season. To participate, bring a new, unopened, unwrapped toy to the Oregon AFL-CIO office at 3645 SE 32nd in Portland by December 10 or contact Labor’s Community Service Agency to learn more.